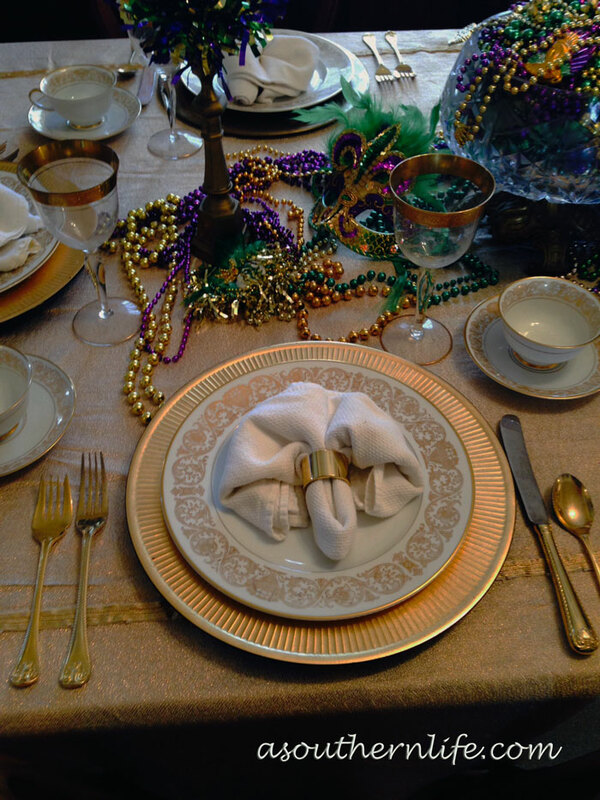 I love the fleur de lis napkin fold. Fleur de lis are so closely associated with Louisiana. Masks aren’t required for this dinner, but if you need one, here are a couple . 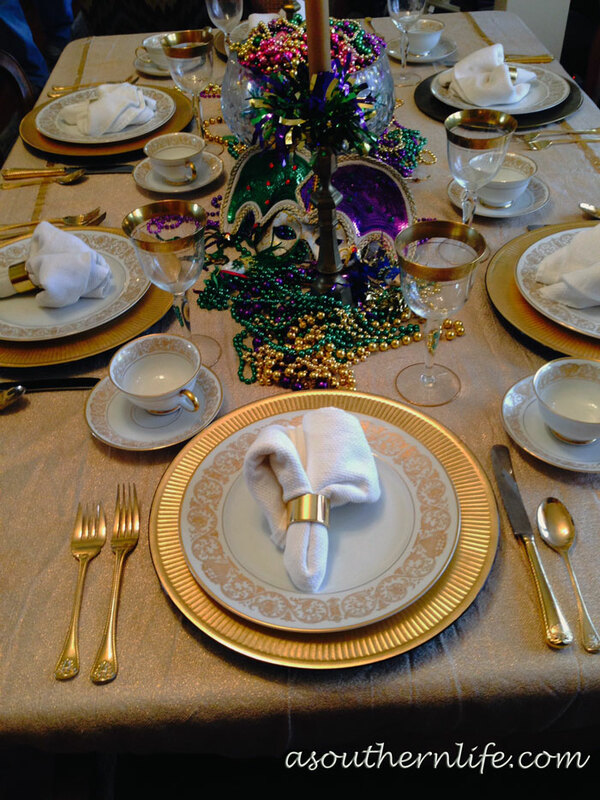 . .
Gold is the theme here from the tablecloth to the chargers and plates, the rims on the crystal and the flatware. 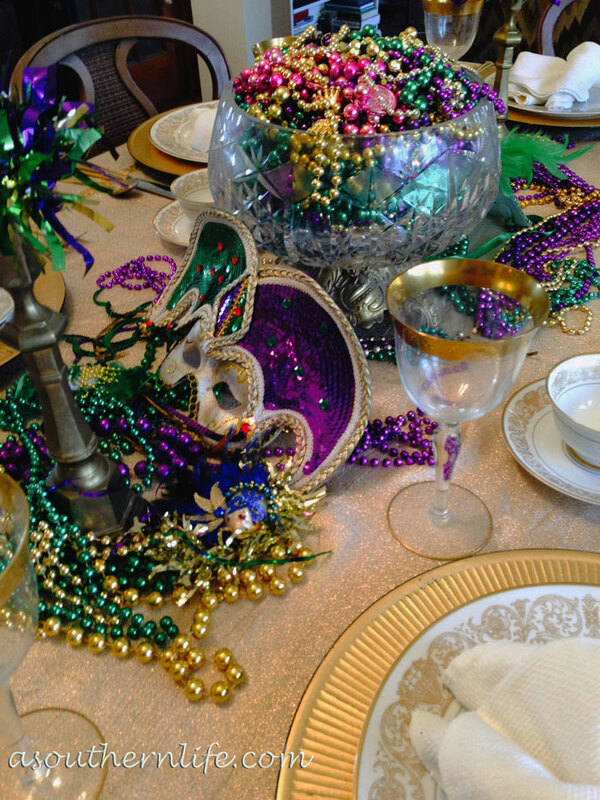 Lots of purple and green complete the setting with the traditional Carnival colors. So glad you stopped by . . .
You are always welcome here. 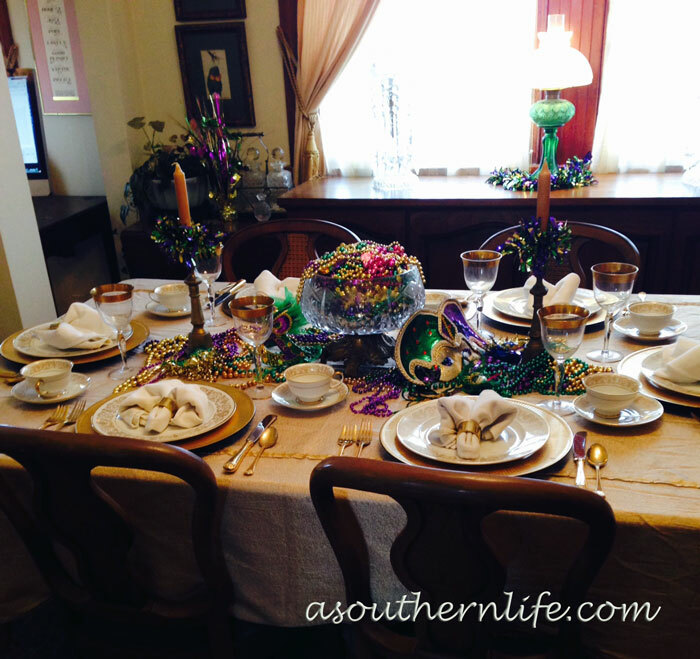 . .
at A Southern Life. 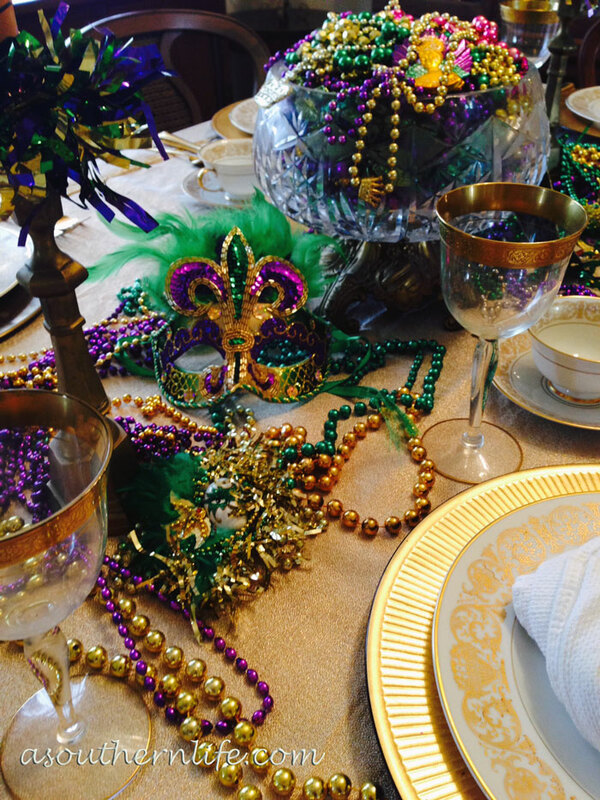 If you want to find out more about Carnival and Mardi Gras in New Orleans, check out my Mardi Gras FAQ post. 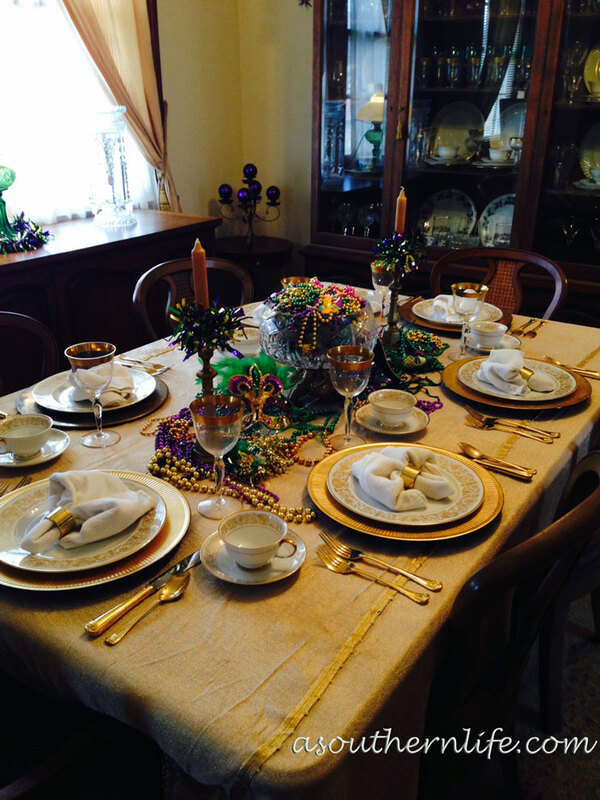 If you want to make your own King Cake from scratch, here is a great recipe. Love it! 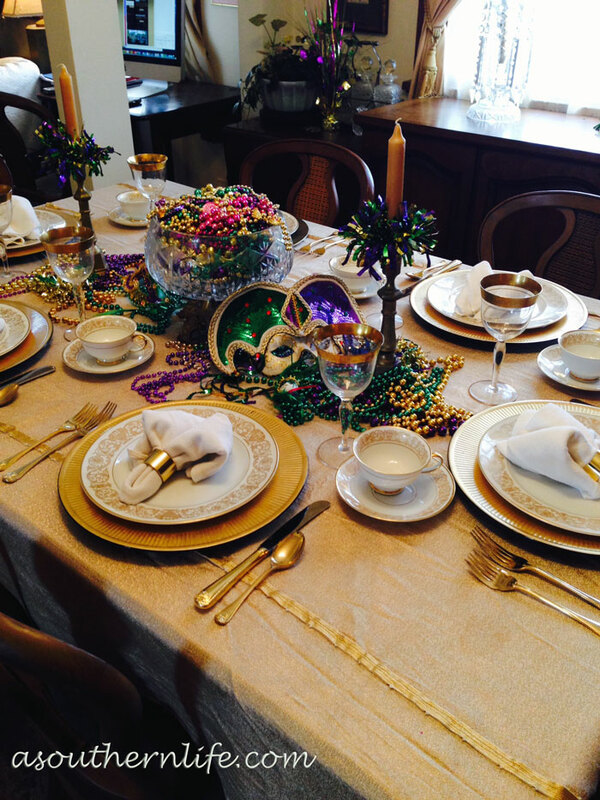 I love all the beads across the table, pouring out of the crystal dish! 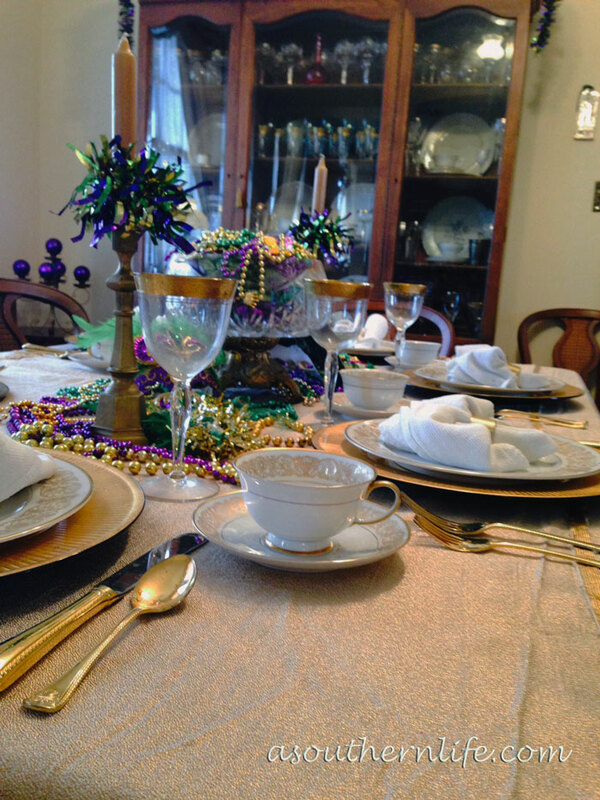 I never thought of folding the napkins like the fleur de lis I loved that! That was my favorite tip I picked up from your tablescape! Gorgeous everything! Love the napkin fold.